On Rosh Hashanah I shared my concern about what is happening here, in the United States of America, in a sermon entitled, simply, My Country. Now on Yom Kippur I want to share my concern with what is happening in my other country, the State of Israel. When I say “My Other Country” it’s not simply because I happen to have dual citizenship, and the fact that my family of five has ten passports. It’s not simply because I studied there, got married there, worked there, served in the army there… in fact all of that was many years ago when I was young, and yes, had a full head of hair. It’s because I believe if you are Jewish Israel is your second home, your spiritual homeland if not your physical one. And it’s because America happens to be Israel’s best friend, and sometimes only friend. 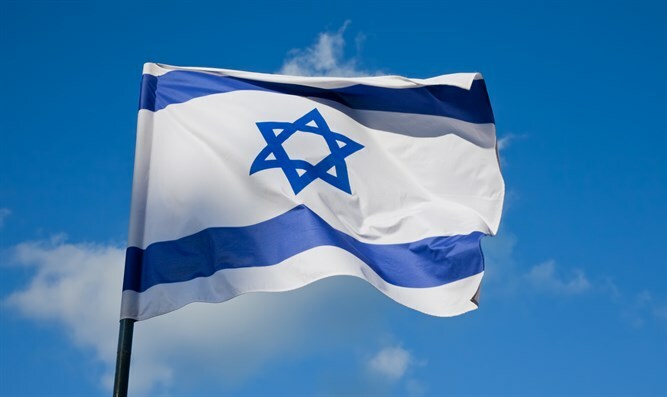 As you know, Israel will soon celebrate its 70th birthday. So let’s begin with some positive, before we get to the negative. That’s a good approach to take with family. It’s helpful at any time, even more so before a big birthday. Let’s remember that just seven decades ago, in the life span of many of you here, against all odds, a modern miracle arose in our ancient homeland. As I’ve said before, “I am sorry that I was not alive in May of 1948 to witness this miracle. The ingathering of the exiles, the revival of a Jewish state, the rebirth of Hebrew: is there a more astounding event in all of Jewish history? This spring there will be a lot to celebrate, and I hope we will do our part. Israel’s joy is our joy. Israel’s successes are our successes. Because the Israeli flag is also the banner of the Jewish people. It's no coincidence that the colors are blue and white. Those are the colors of the tallit⏤the traditional prayer shawl⏤which inspired the flag design. And the Jewish star in the center? That is the symbol not just of the nation, but of the Jewish people everywhere. So if Israel’s joy is our joy, it also means that Israel’s sorrows are our sorrows. And if Israel’s successes are our successes, then Israel’s failures are our failures, and Israel’s disappointments are our disappointments. It was a rough summer. Let’s start with that. First there was the collapse of the Western Wall compromise. After years of negotiation to create an egalitarian prayer space next to the divided plaza of the Kotel, the Prime Minister pulled the rug out from under all those who had worked so hard on the plan. To add insult to injury he threw his support behind a bill that ensures that non-Orthodox conversions will never be recognized in Israel. It was all politics. The Prime Minister needs the ultra-Orthodox parties to stay in power. Do you know that at the same time this was happening I performed a wedding here at the Temple for a daughter of this congregation, who was denied a legal marriage in Israel because she couldn’t prove that her grandmother’s conversion to Judaism was valid? Do you know that I told the young couple that Debby and I were denied a legal marriage in Israel 36 years ago because we wanted to get married by a Reform rabbi on the grounds of the Reform seminary⏤the Hebrew Union College⏤in Jerusalem? Israel at 70 is a remarkable place, but it is not an egalitarian, pluralistic place for non- Orthodox Jews… and that should concern us and trouble us. In fact, earlier this year, at the urging of Norman Rosen, our Board of Trustees passed a resolution urging the Prime Minister to cease delaying the implementation of the Western Wall plan, which was brokered by Natan Sharansky. And after receiving an unsatisfactory reply, Norman wrote a strongly worded opinion piece in the Jewish Standard entitled “The Disgrace of the Western Wall”. It begins, “Imagine a place that is the holiest spot on earth for the Jewish people. Now imagine a place where peaceful worshippers are pushed and shoved, stones are thrown at them, and they are insulted, spit upon, and cursed. Sadly, the Western Wall… fits both descriptions." We are proud Reform Jews. We have nothing to apologize for. Non-Orthodox Jews make up 90% of the American Jewish community and 60% of the Israeli Jewish community. Seven decades after its founding, Israel should officially recognize all streams of Judaism. Seven decades after its founding Israel should support Reform Judaism, Conservative Judaism and Reconstructionist Judaism. Seven decades after its founding Israel should uphold religious marriage, civil marriage, and gay marriage. Now as unfortunate as this inequality is within Israel’s borders, I believe that Israel at 70 faces an even greater problem with its occupation beyond its borders. This past June marked the 50th anniversary of the Six Day War. One Israeli journalist has called that War the “cursed blessing”. Blessing⏤because the Six Day War sent the unequivocal message to the world: We are strong; we can take care of ourselves; we are here to stay! Curse⏤because the Six Day War resulted in Israel control of today more than 4 million Palestinians in the West Bank and Gaza. Blessing⏤because Israel gained defensible borders, in the south with Egypt, in the north with Syria, and in the middle with Jordan. Curse⏤because Israel’s borders are still unsafe with the rise of Hamas in Gaza, Hezbollah in Lebanon, and the Al Aqsa Brigade in the West Bank. Blessing⏤because from Israel’s strength came the astonishing peace treaty with Anwar Sadat and Egypt; and with King Hussein and Jordan. Curse⏤because the failure of a peace treaty with Arafat and then Abas has given Israel three intifadahs and endless strife in the territories, and fuel for the fire of a looming nuclear Iran. The haunting question for Israel at 70 is how the Jewish State can remain democratic and Jewish while seven million Jews rule four million Muslims. Can we continue to avoid this dilemma indefinitely? I have said this before⏤unconditional love does not mean uncritical love. You love your children unconditionally; that does not mean that you look away when you think they are wrong. You speak up for their own sake; precisely because you care. Israel is family. We have to be careful about criticism in public. We have to combat Israel’s enemies and naysayers. We have to say to the BDS movement⏤those who would boycott, divest, and sanction⏤you go too far; you are not fair or balanced or objective; you question Israel’s very right to exist, don’t you? We need to love Israel. We need to stand with Israel. We need to visit Israel. We need to lobby for Israel. We need to praise Israel. We need to celebrate with Israel in this milestone year. And we need to work for a more just Israel, inside and out.